Where do you need the window installer? Planning on adding a new window or door in your existing shed? Or maybe you’re in the middle of designing a custom-built structure from the ground up, and you’re wondering if a window would be a good option for you. Either way, a shed door or window is a decision that comes with consequences—the wrong kind puts the security of your possessions in jeopardy, and a bad installation could make your valuables vulnerable to damage from leaks as well. On the other hand, when the proper precautions are taken, a shed door could add light and ventilation to a space, not to mention improving its overall appearance. 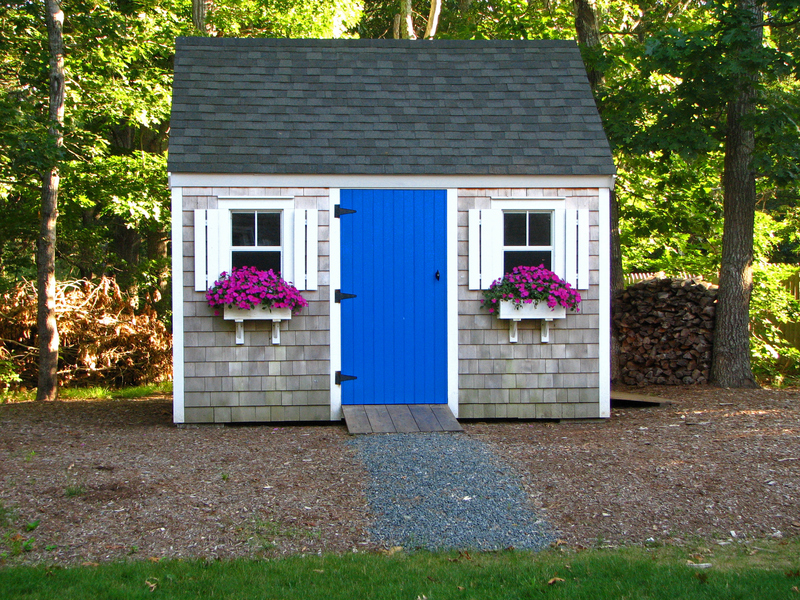 Here’s what to know when you start selecting a new window or door for your shed. Retrofitting your existing wood shed with a new window or door is a complex project—but not one that’s out of the scope of many home handymen. On the other hand, if you’re purchasing a brand new prefab shed, many builders will allow you to customize your build to include the kinds of windows and doors you prefer. This is particularly true if you’re opting for wood materials, since they’re easier to cut into than metal or resin. If you’re opting for a prefab shed, your options for window types will likely be limited to those offered by the manufacturer. However, a custom shed design allows you to choose virtually any window style and design you’d like. Of course, some windows work better for sheds than others. You’ll want to pay attention to the frame material and decide whether or not you’ll have an operable window. In an outdoor building like a shed, a durable frame material is ideal, so for better results, go with vinyl or aluminum types that can stand up to wind and weather. Many homeowners also select fixed window types that cannot be opened—this makes the shed’s interiors less vulnerable to theft. However, if you’re not keeping anything valuable in your storage shed, you can choose to install hung windows that can be lifted open, but you’ll want to make sure any frames you get have a secure locking mechanism to deter break-ins. Theft is obviously one of the biggest cons to having a shed window—a window is tempting for thieves looking to steal tools, equipment, and other expensive items you keep inside. When you are evaluating whether or not to install a shed window, you should think about what you’ll use it for, too. Are you planning on keeping something there you’d rather not expose to the world? You can also deter breakage by choosing tempered or laminated glass in your windows, since this glazing is stronger and resistant to break-ins. Shed windows may also be prone to leaks. Anytime you add an additional opening to your shed’s structure, you’re increasing the chances that the items you store inside will be exposed to water damage. So if you’re thinking about storing things that might degrade from exposure to moisture or light, you might want to think carefully about installing a shed window. 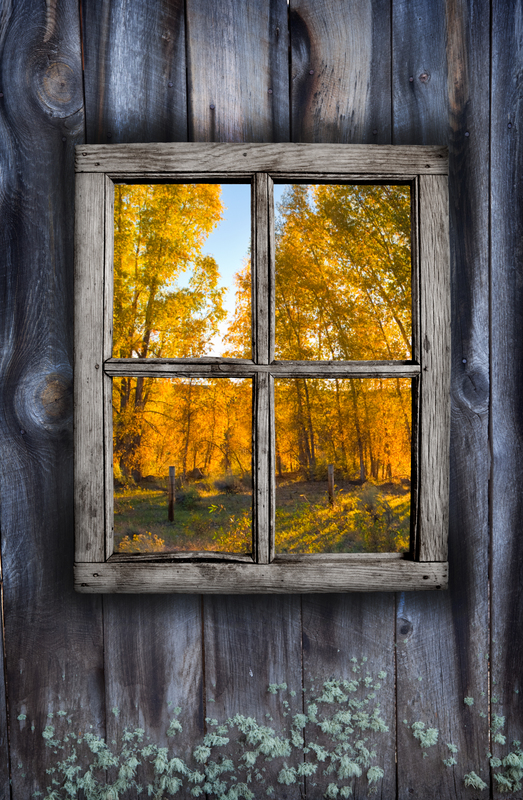 On the other hand, shed windows also offer several positives, as well. They can provide extra light and air circulation to your shed’s interiors—which not only improves the shed’s overall appearance, but makes it nicer to be inside. That’s definitely something to keep in mind if you’ll be using your shed as an alternate space for gatherings or as a home office. If you have a green thumb, a shed can provide a protected space for starting plants—which makes an alternate light source especially crucial. In fact, if you’re a serious gardener, you can even install horticulture glass or polycarbonate in the windows to draw in heat. This lets your interiors act as a sort of greenhouse. The light provided by a window is also ideal if you’ll be doing focused work in the shed, like woodworking or repairs. Plan on adding windows along walls where you’ll be installing workbenches and other working areas. Typically, shed doors come in one of four different varieties: hinged doors which are connected to the wall opening with a large metal hinge; sliding doors, which can be used to conserve space; bifold doors, which open from a hinged centerfold in the door; and roll-up doors, typically made from a sturdy material like aluminum, steel, or PVC, which rolls upward to create a wide exit for machines and mowers—similar to a garage door. Your choice of door largely depends on how you’ll be using the space. However, the hardware and locks also play a huge role in how secure and weathertight your door is, as well. Strap hinges, the most common choice for residential sheds, consist of a triangular metal bracket screwed directly to the door. While convenient and easy to install, they make a less secure choice, as a thief could potentially unscrew the door from the hinges and reach right in. A concealed hinge makes a much safer option. This hinge type more closely mirrors what you probably have on the doors in your home. It fits into the wood on the edge of the door and the frame to make it more difficult to remove. In fact, it’s practically impossible to take off without breaking the actual door first. When you’re installing windows and doors in an outdoor structure like a shed, the weatherstripping you apply around the openings becomes absolutely vital to keeping out excess wind and water—as well as enterprising critters who may become interested in making your shed their new home. Install a sweep under your shed door and make sure to apply foam tape and caulking around your windows. That way, you’ll keep your shed’s interiors dry and free from wildlife—which will definitely make time spent in your shed a lot more enjoyable!